Happy Hen Treats is proud to introduce the world's first line of treats specifically made for pet chickens! Happy Hen Treats line of treats provides pet chicken owners a great way to interact with their backyard friends. Quality ingredients go into these treats and are tested and approved by the Happy Hen's backyard flock. They know how much you love and appreciate your chickens and we are confident your chickens will love and appreciate a special treat made just for them! Contains approximately 3,250 dried mealworms that chickens absolutely love to eat. Dried mealworms offer chickens the taste they love without the inconvenience of storing and handling live worms. Not just for chickens. Can also be fed to Reptiles, other insect eating Birds and Tropical Fish. Feed straight from your hand, scattered on the ground, or in a feeding dish as a treat only. 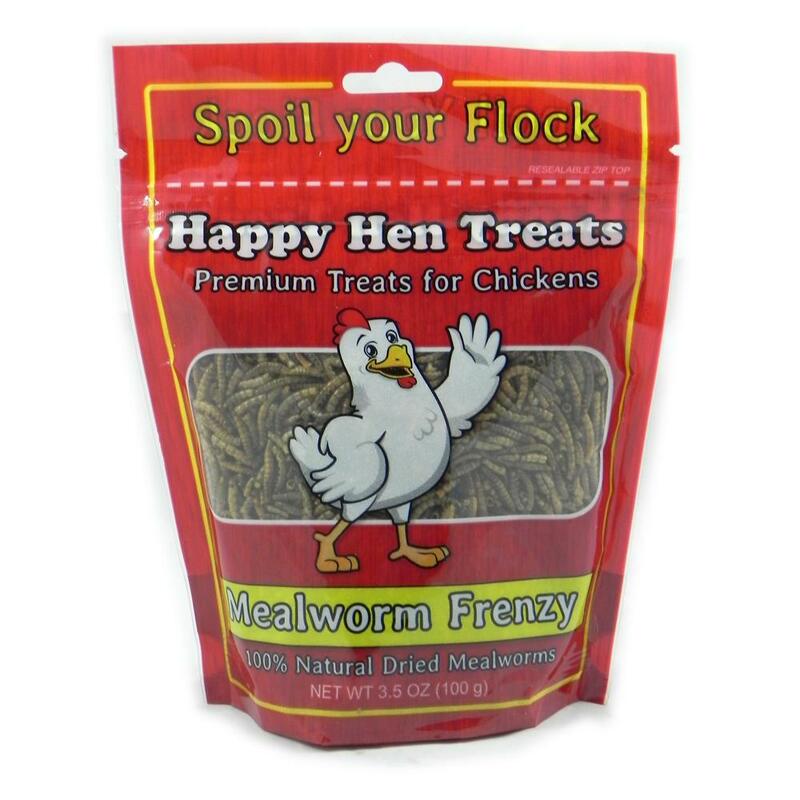 Watch your chickens dance and peck in a frenzy for these 100% natural whole-dried mealworms!